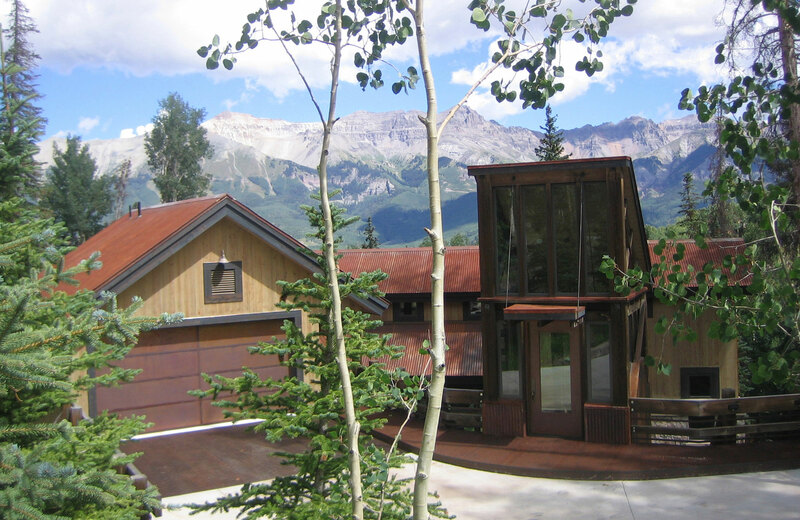 A descent down a magnificent ridge reveals this four bedroom four and one-half home framing a dramatic landscape with unobstructed views of the San Sophia Mountains.This exquisite landmark draws its inspiration from the historic Allegheny mine building which sat high above telluride in the 1930’s. 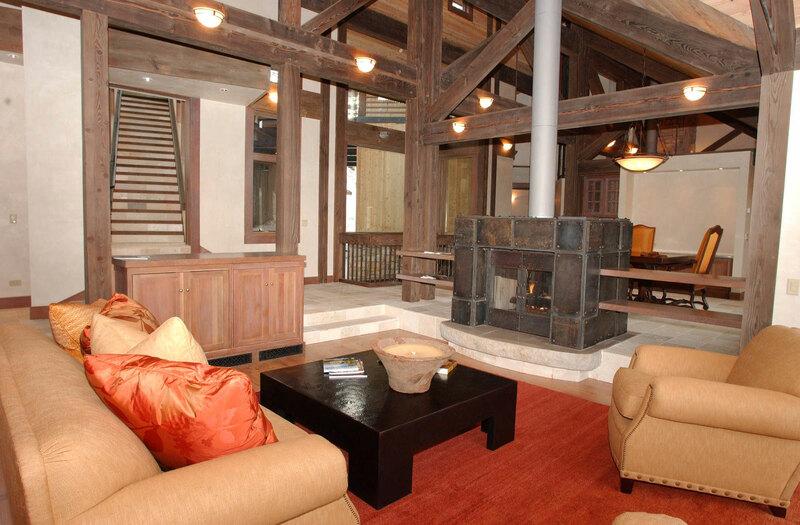 The architecture evokes early 20th-Century mining structures while incorporating superlative modern comforts. Comfortable in scale, the home was designed for efficiency and livability, providing a low-maintenance space for entertaining and relaxing. The finest finishes exemplify the attention given to detail in the careful design and construction of the home – from the handcrafted timberwork and the natural stone and Italian porcelain baths to the Austrian plank flooring and natural wood ceilings. 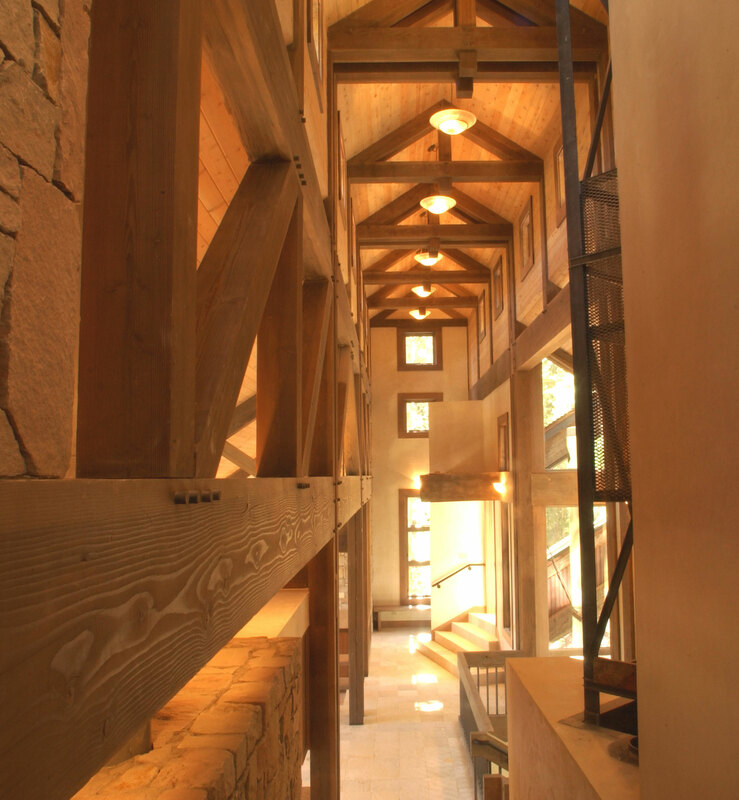 A timber and glass tower stands sentinel over a heated driveway. From the entry, a glass-enclosed stairwell leads to a grand gallery, which spans the length of the main floor. 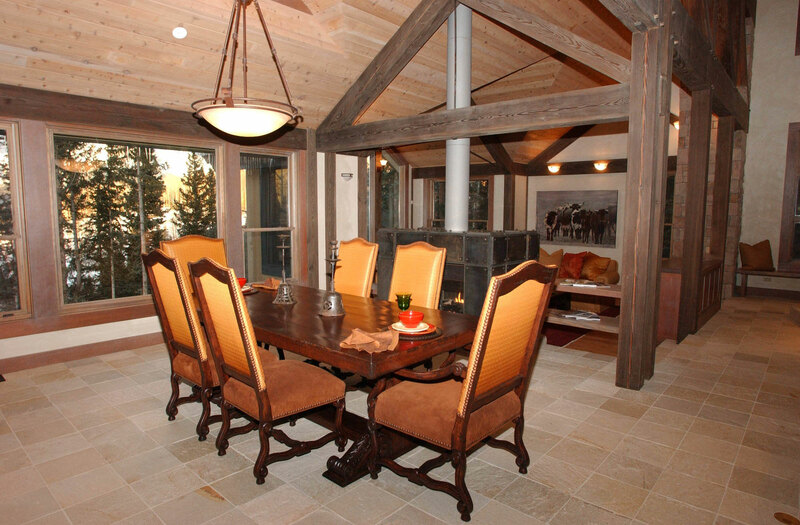 The gallery unifies the kitchen, dining room and living room in one magnificent space. 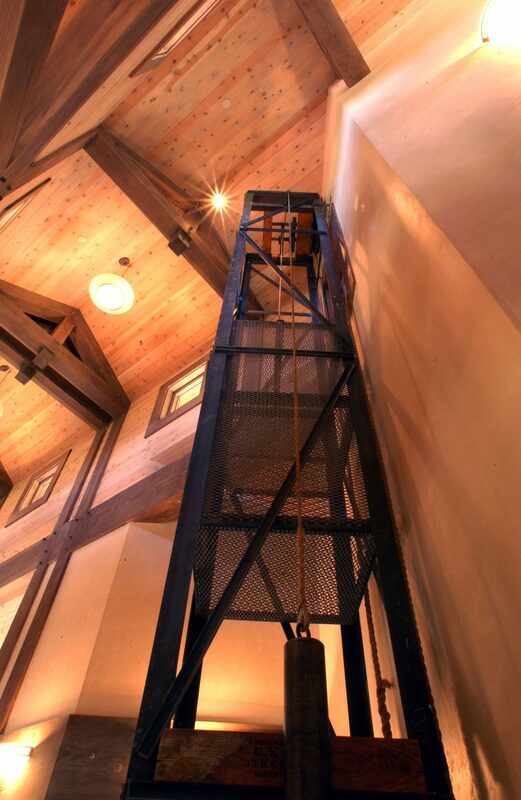 Custom staircases were constructed with iron and wood beam and jut up to reach the vaulted ceilings. The centralized dining room – with its double-sided fireplace, built-in cabinetry, and server – offers a natural flow between the kitchen and living room while incorporating panoramic views. 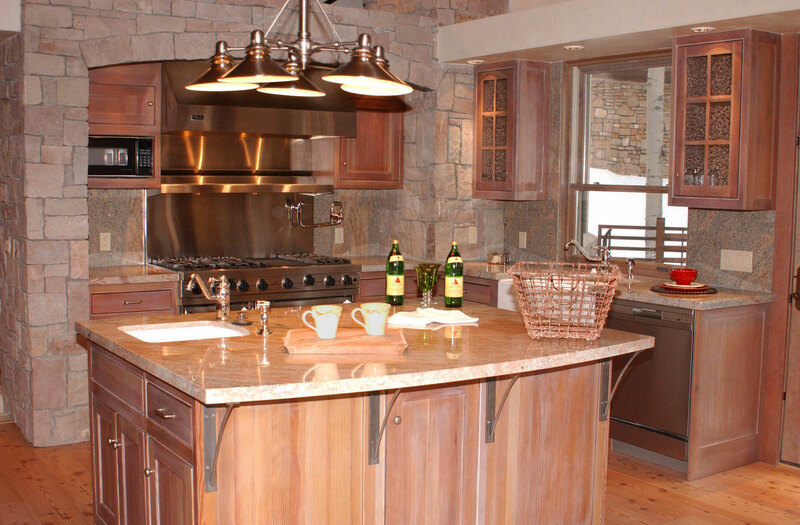 The kitchen features a mix of warm granites, rustic woods and open stainless-steel shelving. Two master suites boast gas fireplaces, with the primary master fireplace nestled in a library-study distinguished by handcrafted timber. Each bath is appointed with Italian porcelain, natural stone counters, and steam showers. A private retreat or additional bedroom may be created by closing the massive handcrafted sliding doors that separate the media room from the rest of the guest level. Left open, this multipurpose room with its own deck offers versatility of use and freedom of function. 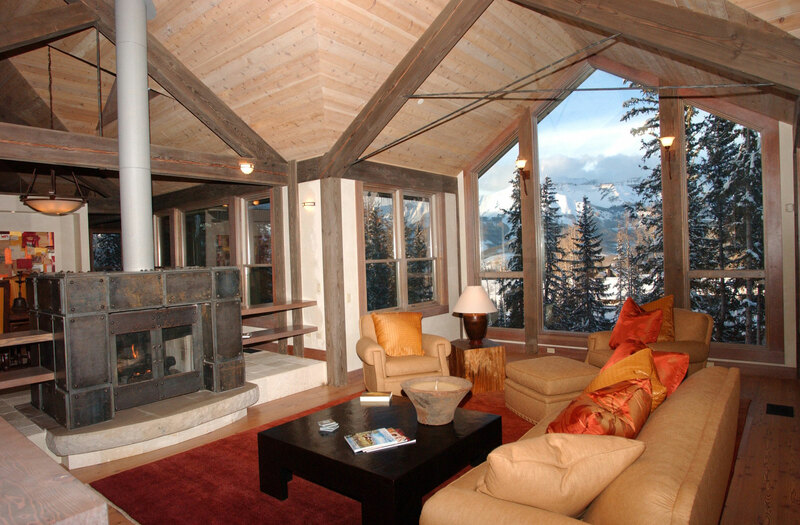 Quartzite flooring and incredible mountain views complete this understated yet elegant mountain masterpiece.